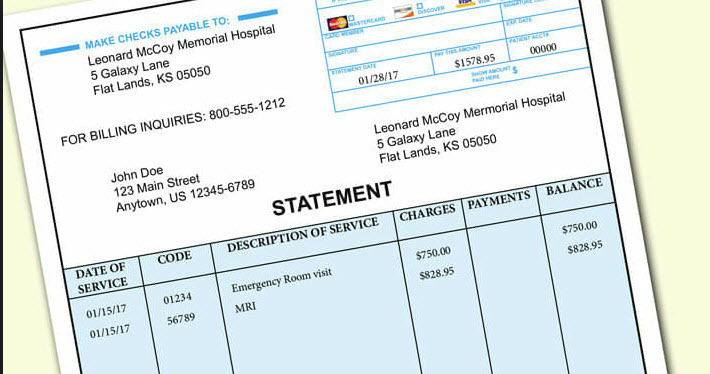 Surprise medical bills have long upset patients all over the United States, especially for those families on fixed incomes. Now the Congress and President Trump are stepping in with serious intentions on fixing this crucial health care problem. This is a problem that affects all people, even those with good medical insurance plans. President Trump intends to speak about this issue tonight in his State of the Union address to Congress and the Nation. Surrounded by patients who told horror stories of being stuck with hefty bills, President Trump recently waded into a widespread health care problem The President will issue a top priority for his Administration on resolving this problem. Surprise medical billing is also on the radar screens of both Democrats and Republicans. A bi-partisan group is expressing optimism that a good solution can be found for this issue which affects 57% of American adults. Sen. Lamar Alexander, Republican from the Tennessee, chairs the Health, Education, Labor and Pensions Committee. He predicts that a bi-partisan supported bill will come up for a vote within the next few months. Surprise medical billing happens with regularity. Current bill waiting to be voted on would impose new notification requirements, as well as limitations on what doctors and hospitals can charge patients. Bills for emergency care at an out-of-network facility or non-emergency care when the facility is in network but the doctor isn’t, would also be regulated. A draft bill pushed by Senator Cassidy, would cap what patients pay and prohibit balance billing — when a patient is expected to make up the difference between what the provider charged and what the insurer paid. The state would set the amount a health plan must pay. In the absence of a local policy, health plans would default to a federal formula outlined in the bill. A bill from Sen. Maggie Hassan, D-N.H., prevents a hospital, physician group, or other medical provider from charging patients more for an emergency procedure than the expected charge from an in-network provider. It establishes an arbitration process to determine what the patient’s health plan should pay. A bill from Texas Democrat Lloyd Doggett, chairman of the House Ways and Means Committee’s Health Subcommittee. It requires hospitals to notify patients whether the hospitals and other health care providers, are in-network. Hospitals also have to tell patients how much they could expect to pay out of pocket. There must be at least 24 hours’ notice and the patient’s consent to the pricing. Bottom line; the hospital can not charge more than an in-network provider would charge. There is bi-partisan agreement that surprise medical bills causes immense pain but can be fixed. President Trump’s words are eagerly awaited by Congress and the Nation at tonight’s State of the Union Address.